July 1st 2015. 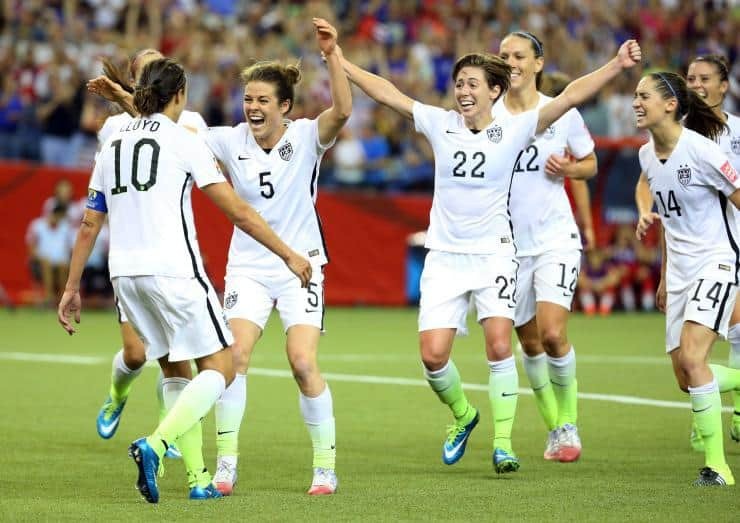 Last night the US Women’s Soccer team reached the World Cup final after defeating Germany 2-0. The team, which triumphed thanks to second half goals from Carli Lloyd and Kelley O’Hara, is now on the cusp of making history. They will play the final on Sunday July 5th against either England or Japan, who play tonight in the second semi-final. For some Coaches Across Continents staff and supporters there may be some split loyalties if the lionesses of England go up against the US! However, if the US win the final they will become the first team in Women’s World Cup history to win the tournament three times following their victories in 1991 and 1999. Can this team which includes stars such as Abby Wambach, Hope Solo and Megan Rapinoe emulate their predecessors heroics in 4 days time? If you are supporting the US Women’s National Team on Sunday you could be in with a shot of completing a very impressive soccer double by entering our competition. There are only four days left to enter and be in with a chance of winning a signed 1999 US Women’s soccer team shirt! This unique shirt, signed by legends such as Mia Hamm, Brandi Chastain and Julie Foudy, is an incredible piece of history. The competition draw will take place on Sunday just before the final kicks off at 7pm EST with the winner announced on Monday July 6th. Go to this page and enter the competition today to have a shot while also supporting CAC’s work on global female empowerment. 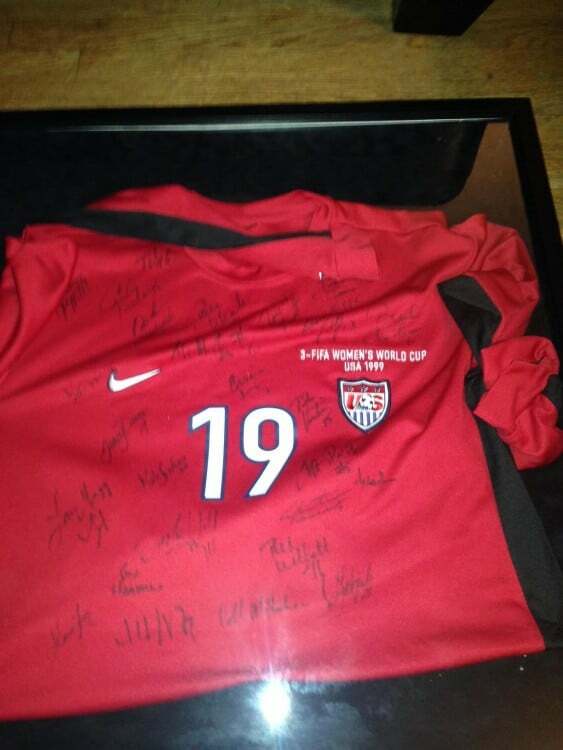 You can win a piece of 1999 history on the same day the 2015 US Women’s soccer team try to create new history!